Sorry for the blog silence. I just got back from a week at the beach. Our place was supposed to have internet access, but didn’t. 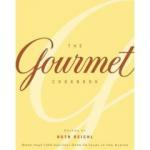 On Thursday March 6th The Gourmet Project had its first birthday, and I forgot to mark the occasion. Check it out! I’m 10% of the way through The Project. Just 1164 more recipes to go.